Time was, not so long ago, when Houston really wanted to win the 30-inch-tall, size-15 cowboy boot known as the Silver Boot trophy. The Astros have been competing against the Texas Rangers since 2001, and from that year to this, the trophy has gone to the team that wins more of these games (or scores more runs, in the case of a tie.) As of last year, the Boot had been awarded 16 times, 12 of those times to the Rangers. But this year was different. For the first time since 2014, which to say the first time since A.J. Hinch began managing the team, the Astros will take home the trophy, Houston having won 10 games against the Rangers, a number the Rangers cannot match, even if they win their two remaining against us, as they have only won 7 thus far. Still, this was a more muted contest than in years past. The Rangers are but a shadow of their former selves, having won just 76 games this year to the Astros' 96. The team will almost certainly not make the playoffs (indeed, they face elimination tonight if either they lose against Houston tonight—certainly possible—or the Minnesota Twins defeat the Cleveland Indians—kinda possible). Given such a dismal 2017 showing, it would seem almost cruel to gloat. 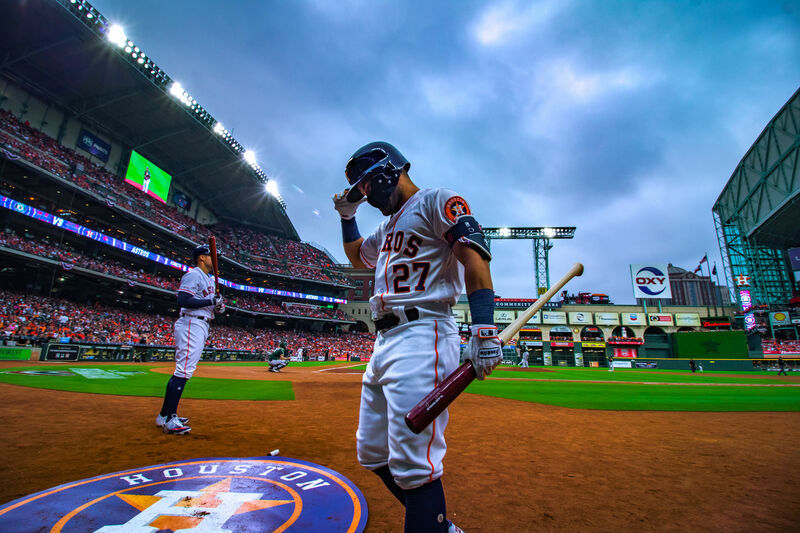 Furthermore, the Astros have no time for such vain displays, locked as they are in a contest of far more consequence than the Lone Star Series, one whose title, Best Record in the American League, comes with no trophy but substantial prizes nonetheless. 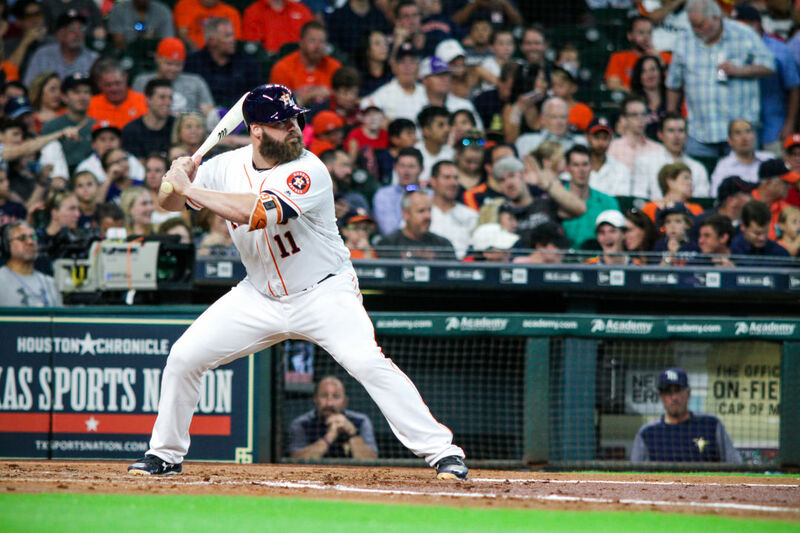 That there are still mountains left to climb for the Astros was evident in Monday’s outing at Arlington’s Globe Life Park, one in which they prevailed by a score of 11-2. Hard as it might seem in retrospect, the Rangers actually led the game through the first three innings, at which point they ran into a buzz saw known as the middle of the Astros’ line-up, specifically Marwin Gonzalez, Evan Gattis and Alex Bregman (hitters no. 4, 5 and 6 respectively). Together, Gonzalez and Gattis notched 4 hits and 4 runs in the murderous fourth inning, but the whole team got into the act, scoring four additional runs with the help of a sacrifice fly (Bregman), Rangers’ fielding errors (George Springer, Carlos Correa), and a walk (Jose Altuve). 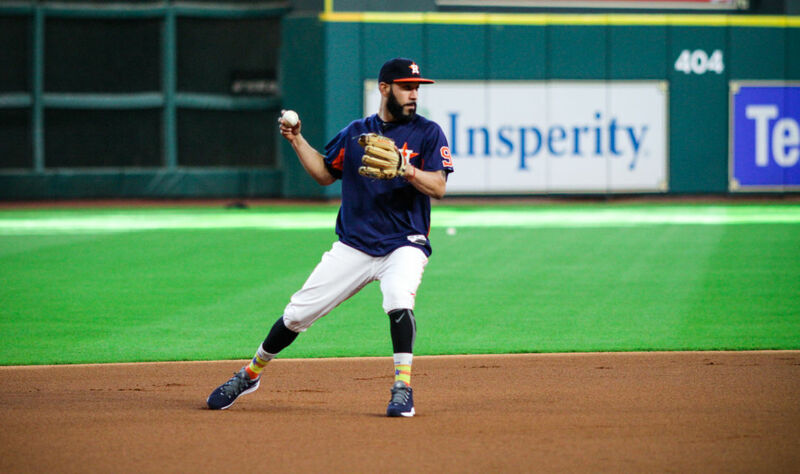 A 443-foot solo homer by Gonzalez added another run in the sixth inning, while Bregman, Tyler White and Derek Fisher combined efforts to score two more in the seventh. ...Is a night when Marwin Gonzalez hits a single, a double, bats in two runs, then hits a home run and another single. Thus was the Silver Boot won, and the applause more short-lived than even we expected. 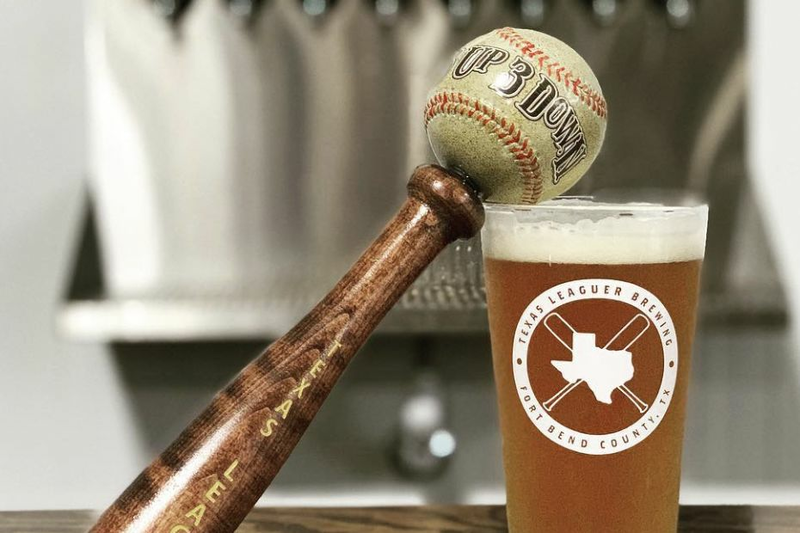 That’s because the Astros are facing yet another looming battle, one more immediate than their scrape with Cleveland—a virtual one against the Boston Red Sox. 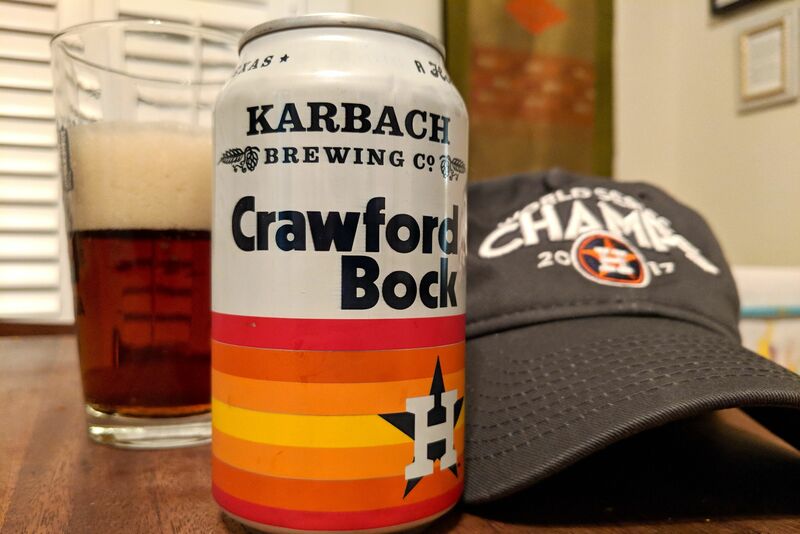 All it would take is an Astros win tonight and a Red Sox loss for the ’Stros to clinch home field advantage in the division series, which is huge. It’s not quite as huge as clinching the American League’s best record, which brings both home field advantage and a wild card (read: weaker) opponent. But hey, the season’s still young.